Please read this previous post about the placement of pictures in 3D space. Think with me for a moment. 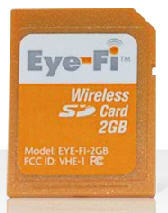 This card (I bought one) appears as a standard memory card to your camera. The bloody cool thing hunts for open wifi internet access and uploads your pictures automatically to Flick, or Picassa (Google), or Microsoft, Facebook (yeah sure, after the Beacon debacle). And of course the camera adds the timestamp and zoom factor. Some camera’s add already GPS coordinates; I am pretty sure within 5 years that will be a totally standard feature. Give it two more years, and the camera will also add 2 dimensional directional coordinates, in other words, embedded in tags in the pictures is a complete record of where it was taken, where the camera was pointing to and what the field view was. Want to get really paranoia (or realistic)? Count on the camera adding a owner tag (“Jakes Minolta”), but also the camera’s serial number to the photo files. And you still want them uploaded to MySpace? Walmart? Snapfish? Crawled my Google, Microsoft, Yahoo ir IBM? Displayed as seen in that other post? With your name either openly or hidden added to it? I didn’t think so either. The data world is getting scary. Added: The eye-fi refuses to work on my Konica Minolta Dimage 600. I am usually not so much into reposting Boing Boing posts for the most obvious reason (you are already reading it! ), but this is one the notable exceptions. Miro is easy: just pick some channels — video podcast feeds — and Miro will download all the video from your channels. Miro downloads with Bittorrent, meaning that there’s never a problem with popular sites going down because they’re clobbered by too many requests. Miro can play any video, because it incorporates the free/open video player called VLC, which plays practically every video format under the sun. Miro also grabs YouTube videos, and has access to more HD content than any other source online or off. The future of Internet TV is too important to belong to one company. Internet TV needs to live atop something open and free, the way that the Web lives on top of the open and free Firefox browser. That’s why Miro is licensed under the GPL, the gold standard in open/free licensing, meaning that anyone can take Miro and run with it, improve it, sell it, or give it away. 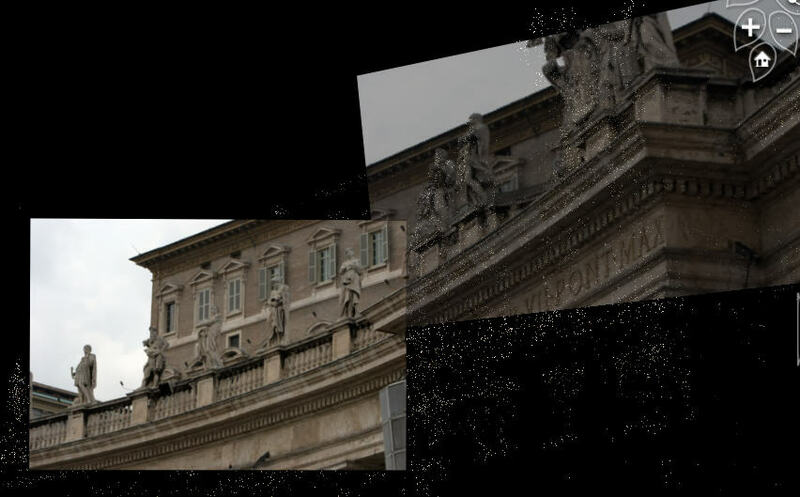 Miro is created by a charitable foundation called the Participatory Culture Foundation, an organization that also makes complimentary, free packages like Broadcast Machine (for publishing your own video channels) and VideoBomb (like Digg, but for video). The foundation pays programmers to improve the technology, and it’s entirely free to use and improve. Let me tell you, I downloaded Democracy Player as it was called then before, and I didn’t get it, tossed it out. Sure, it downloaded video, so?? I couldn’t have been more wrong. This is TV 2.0. It plugs into thousands of free video sources called channels and you can define your own (think in terms of “search all video’s tagged with ‘college prank’ on YouTube”) and it will optionally download every new item appearing on that channel. Mine is downloading every new TED talk, a daily yoga lesson, KQED popular science stuff in high definition, NOVA, etcetera and I am having a ball. Warning: expect wanting to buy a bigger hard disk.